Welcome the spirit of the holidays with the brilliance of the Season of Joy Holiday Wreath from Treetopia. 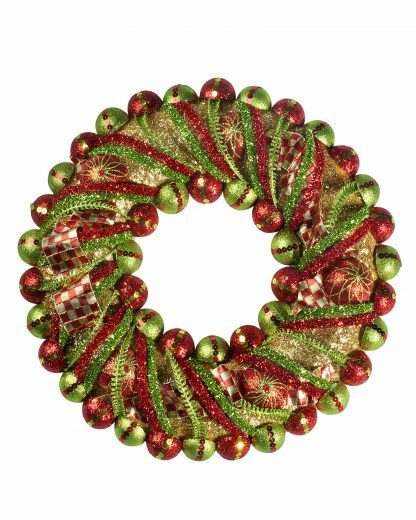 Crafted with polyester, plastic, glue, and wire, this holiday wreath features a stunning mix of the classic Christmas colors red, green, and gold. 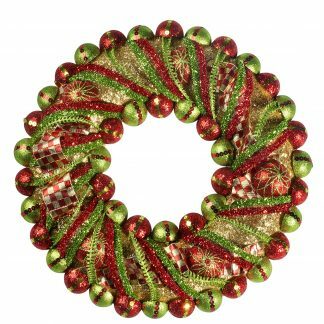 Ribbon and glitter make this styrofoam wreath sparkle, inspiring a festive and fun Christmas celebration like no other.